Vocational Education to farmers, unemployed youth and women. 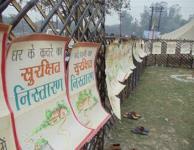 Yash Krishi, Takniki Evam Vigyan Kendra, Allahabad (YASTK) will be putting up a camp in Kumbh Mela Area of Holy Sangam, Allahabad, U.P., India. It will have most facilities for the pilgrims to relax or stay like Covered tent, Electric supply, Water supply, Latreen (WC) etc. 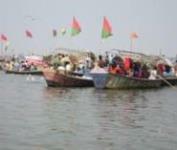 Pilgrims visiting Sangam for the holy dip are welcome to relax there. Some glimpse of past YASTK camp in the Sangam area are shown here. 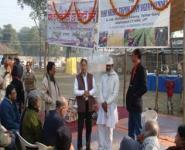 Display of the past activities our NGO in the area of organic farming and waste management etc will be displayed there. 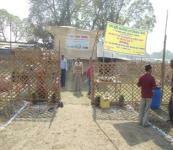 A sample packet of Bio-fertilizer and bio-pesticide along with the methodology will be given free to farmers visiting the camp. 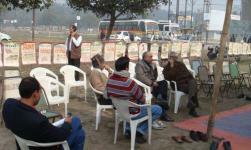 The camp will be located on the parade area and most probably on LAL Sadak. For more details the pilgrims can send the email on [email protected]; [email protected]; [email protected]. They can also phone at +91 532-2545620 or visit in detail the website www: yashkrishi.com.